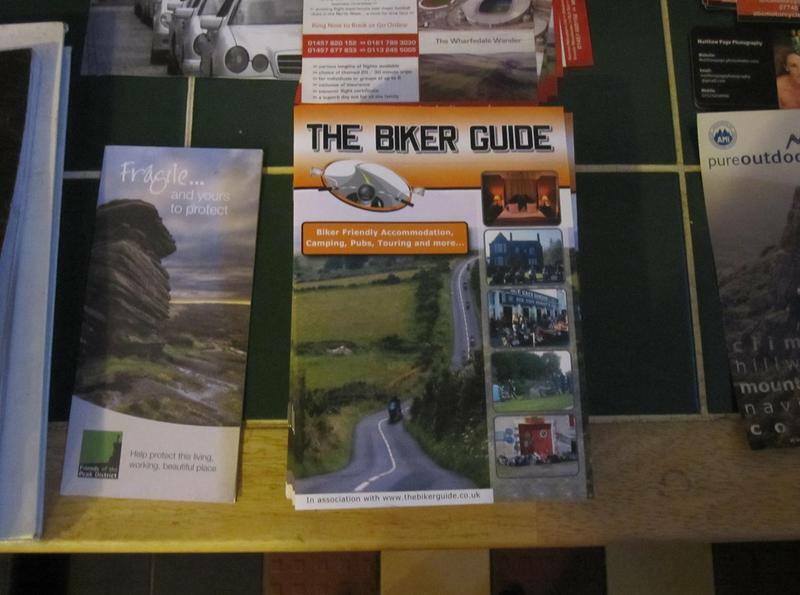 THE BIKER GUIDE booklet has been distributed at many shows, events and via many popular Meeting places, including Ace Cafe, Green Welly, Jacks Hill Cafe, The Bikers Cove, Lyn's Raven Cafe, Harley-Davidson Preston, Departure Lounge Cafe, The Ponderosa Cafe, Squires, The Doof Cafe, The Railway Inn, Touratech (Wales), Squires, Iron Horse Ranch House, Yorkhill Easter Egg Run, Sheep Dip Rally, The Nightjar, The Great Tees Valley Bridge Run, The Worlds Largest Unofficial St Georges Day Parade, Rattlesden Five Bells Bike Show, Rainy Daze Rally, Triumph Owners, I.M.T.C. Motorcycle touring club, Curvy Riders Motorcycle Club, Grindleford Cafe, Whiteways Café, Iron Horse Ranch House, Tudor Rose Wings, St Georges Day Bike Show, Blood Bikers Wales, Artyard Café, Chapter 1 Diner, Ghost Bikes, Hungry Hogs at Hillside Cafe, Red Lion Pub and Truckstop, Route 1066 Café, Sam's Diner, The Bruce Arms, The Buck Inn, The Haven, The Leadburn Inn, Wilf's Cafe, The Squadron Cafe Bar, The 68 Cafe, Nell's Café, Route 11, NABD and 1,000's given away @ the Manchester Bike Show! The booklet has also been included in various clubs mail outs and in goodie bags at Rallies... It is also available for free via the website shop! 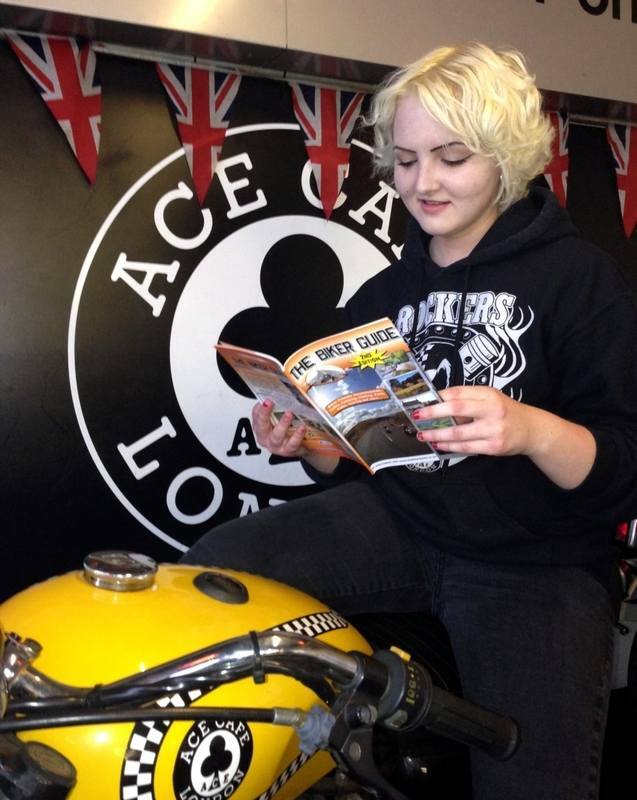 If you have a Biker Friendly cafe and are holding an event, simply fill in the form below*. * Please note that this does not guarantee the amount of copies you have requested, as we have a planned distribution for the issue, based on previous years, along with clients who are included getting sent copies for distribution in the 1st instance. Happy Bikers @ The Haven in Salisbury, Wiltshire reading THE BIKER GUIDE booklet, having a moment outside away from great food and drink they serve. Also @ many shows, events, cafes, Motorcycle Clubs and via the on-line shop on THE BIKER GUIDE®. An extensive list of our distribution is available on request. Due to others 'stealing' our ideas, concepts and data, we have chosen to not include the extensive list here!